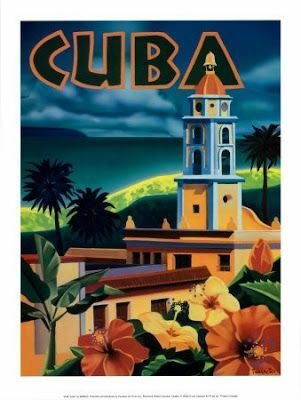 Havana, Cuba – Our AeroMéxico captain has just informed us that we have begun our initial decent into the Havana area. I glanced out the window, saw only open sea and returned to reading my book. Soon the direction took a fresh sense of urgency as tray tables went up, seat backs were upright again and our beloved electronic devices were switched off until landing. I put my book down, looked out my window again and saw the most beautiful coastline imaginable. Sparkling white sandy beaches were ringed by an endless spectrum of turquoise water as far as the eye could see. Shortly, this gave way to vast green spaces crisscrossed with sparsely populated highways. After a turbulent landing that caused a few souls on the place to gasp, we had all wheels on the ground and were in Havana. My feet would soon touch Cuban soil, long considered forbidden fruit to most Americans. Once in the airport I was almost expecting a strong military presence and there was none. We received a friendly greeting and much English was being bantered about. Other than an abnormally long wait for our luggage the Havana airport experience was pretty typical of any international airport. I travelled in a small group of ten fellow tourists and soon we boarded our bus for the trip into Havana. Our tour guide Felix, a native of Havana, had started his spiel and was fountain of knowledge. We considered ourselves lucky to have him, as he shared so many historical insights and those of contemporary Cuban life as well. You could hear a pin drop on the bus as it lurched about all eyes and ears were on Felix. We pulled into a convenience store attached to a gas station to get bottled water; there was none to be had. On the third stop we were rewarded with twelve bottles of water; we bought every bottle they had! First lesson, plan ahead; I soon learned just how resourceful Cubans are. 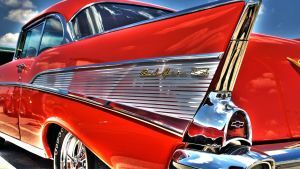 Suddenly I spotted my first Chevrolet Belair from the fifties, which was the first of many. Then a Ford Fairlane convertible appeared in snazzy two tone paint job, I think it was maybe a ’56. John Carpenter made a movie about “Christine” and there she was; a ’57 Plymouth Fury with fins to the sky in all her glory. I was like a kid on Christmas morning. How resourceful are Cubans? Many of these cars were in mint condition to say the least. Nobody but nobody knows where Fidel Castro lives and the trade secrets behind maintaining these beauties is closely guarded by some as well. Make a new friend and maybe he will pop the hood on his ’55 Pontiac to reveal a gleaming Toyota motor train. There is so much more to Cuba than these wonderful vintage cars; for a car buff like me, I just needed to experience the magic before moving on. 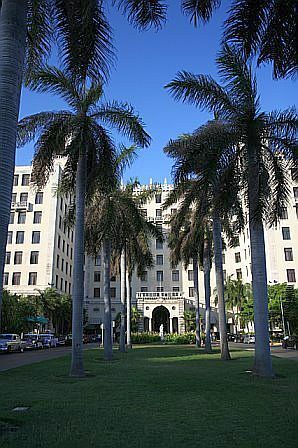 Hotel Nacional sits majestically upon a hill overlooking Havana’s Malecon and has done so since 1930. It’s a Cuban national landmark and served as the nucleus of the city’s social life before the revolution. As we pull into the elongated oval drive up to the main entrance to the hotel, there were guests choosing their preference among the many vintage taxis to take them out for the night. Stepping into the elegance of the grand lobby we encountered tourists from all over the world. However the spirit of what once was lives on. I had my first mojito in Cuba within ten minutes after arriving at the Nacional. The lobby bar is moniker much too mundane for the space that is a national shrine to Blue Eyes, Johnny Mathis and the Kennedys and let’s not forget the mob! Yes, the plan was to develop Havana into another Las Vegas. Fidel had other plans. Exploring Havana is a treasure trove and the hospitality is great. As a first time visitor I visited a rum distillery, learned how cigars are made and savored the best Cuban coffee. The cuisine in Cuba is clearly not a foodie’s paradise but is quite tasty. Black beans and rice are served with virtually everything; pork and chicken are staples. Saw Ernest Hemmingway’s haunts, who was quite chummy with Fidel. There are groups of men on streets who gather in the parks to spontaneously discuss beisbol, the national sport of Cuba. You can pick up substantial works of art La Feria San Jose or was that San Juan? Ha! The true beauty of Havana is really the people who are resourceful and more importantly warm and welcoming to those that are compelled the visit their special land. It is a time capsule, but only a time capsule of the American influence before the revolution. 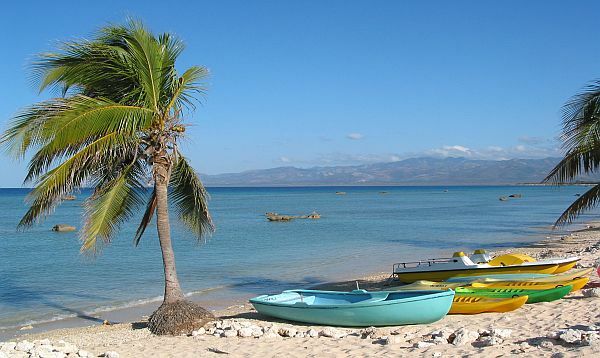 Cubans continue to grow and evolve every day; what a great reason to return to this special land! AeroMexico has regular flights to Havana from Mexico City, making Cuba highly accessible from our country. If you would like more information on how to travel in style to this Caribbean treasure, contact me and I will be glad to introduce you to our tour operator.